If you’re a regular reader of ProPakistani, you must know Abdul Wahab. A serial commentator on almost all posts we do, he even has fake accounts cropping up in his name. While he was shortly banned not too long ago, he has risen from the ashes like a phoenix and is more popular than ever. Now, you get the chance to ask questions from the man himself. We’re going to be conducting an interview with the man himself and if you want to ask or know anything, just comment on the post below with your queries. We’ll put the questions to Wahab (as long as they’re reasonable of course) and include the answers in the interview. We’ll populate this post with the questions we’ll be asking so you’ll know if yours made it to the final list. Note: No hateful or biased comments will be entertained. I think Jumma parh k abhi tak wapis nhi aya. Ya agar wapis ghar agya hai to bhai ka net nhi chal rha hoga. I knew he’s an inborn celebrity. My question to Abdul Wahab is what if propak shuts down forever? What will he do then? (Interview must have his latest pictures and videos otherwise it will not be interesting for viewers). kese ho aqib. maen yasir usman ur friend. waiting eagerly for abdul wahab chusen maro. Work on his urdu i think . Set a pre-condition for the interview, “Leave pro-pak alone” after the interview !!! Hi Wahab, Brother you are one of the great persons here best at the comments. My Question is why your mostly comments are judgmental, declarative or biased. Why not experienced sharing or arguments based. Thanks Bro ! Ma ne aj tak itna wela insaan nahi daikha ! Abdul Wahab bhai ic post pe aap k comment ka shiddat sy intezar hai..
hey Wahab here’s a question 4 u.
Altaf Bhai vs Imran Khan vs Bilawal bhutto (hybrid)? why you comment on every post? what makes you post and why? most of the people are fed up of your irrelevant postings. I have my reasons you fucks…stop the questions!!!!!!! Bhai kese karlete ho ye sb? jan k karty ho ya ho jata hai bas? Hence Proved G Bhar K Ch*tyapa Karo and People Will Notice You. #RIPProPakistani I thought you had some standard. Why you comment mostly and without thinking anything? He Deserves to be honored.there is no competitor of him. is there? Are you human or are you an Alien disguised as a human and trying to study human interaction and behavior over digital media :D ? Wow thats so awesome, I have heard that you have been offered a “Propakistani associate role” for marketing propakistani so how will take up this role? 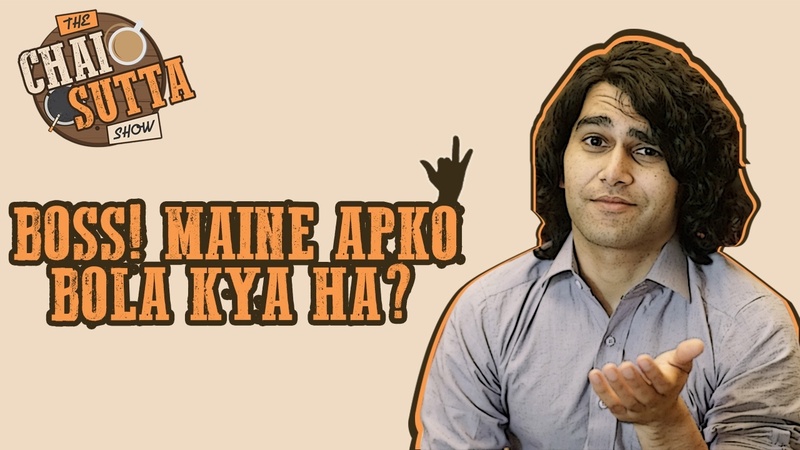 Question: How do you feel to have an interview by #ProPakistani ? He missed to reply on this interview post?. He should had replied on this post as well. Q: Wahab bhai, what are your future plans?? Any other forums you plan to target on? Q: What if you are made Prime Minister of Pakistan; any to do list?? BTW it shouldn’t be astonishing as U.S already has one like you. The only post with comments without Abdul Wahab comment.. It is actually a pretty damn difficult task. Bro kia waja hai k apki itni trolling k bad b ap ne comments karna nhi choray or kisi ko koi hard reply b nhi kia chahiye us ne jo kuch marzi kaha ho ? Abdul Bhaye Famous Ho Gaye Ap. Mubarakaan. Question For Abdul Wahab Bhaye – What do you think about the IT sector in Pakistan and its future ? Do you think our low Internet Penetration is hindering our IT sector from booming ? Who is he?? Why is he become so famous? He’s social media celebrity. His fans are more than of Tahir Shah and Shaikh Rasheed. Q: Yaar khattey kiya hoa subha subha: Itni Himmat kahan se laey ho larkey..?? Q: Aap bari umer ki aurton ke sath tou nahin bethtey..?? Q: What do you think; when you see an article discussin social problems here at pakistan…?? I did see all of the your comments and replied continuously on those kind of articles..?? haha! ma bi tou karta hu!! I think Jumma parh k abhi tak wapis nhi aya. Mera aik question hai Abdul Wahab say. Question: Yar ye btayo k tum itnay welay kesay hoty ho jo har post per comment krtay ho ? I have seen him ignoring hateful comments or seeing the funny side of it. I would like to how How he manages to take all those negative trolls so bravely and how he manages to remain positive all the time? ap ko comment krna itna pasand q hy? Abdul Wahab are you married ? Q. Why do you ask so many questions? Q. Tell us about your academic qualifications? Q. What inspires you to read and post on ProPakistani? Q. What are your hobbies and what do you do for a living? Are you a student? Q. Do you think that ProPakistani articles are going to make a change in Pakistan? Where do you see your comments in this regard, I mean do you see your commenting make a difference? Q. No doubt you are quite Popular in a wide reader’s network (ProPakistani), how does it feel? Q. Have you ever thought of writing an article for ProPakistani? If yes what topic you would have chosen? Q. What interests you more, Technology or Politics? Q. Please tell us about your prospective about Pakistan? Do you see you have a better future here or you will become a part of brain drain? Q. If you are ever considered as the Prime Minister or President of Pakistan, what three steps would you take first?